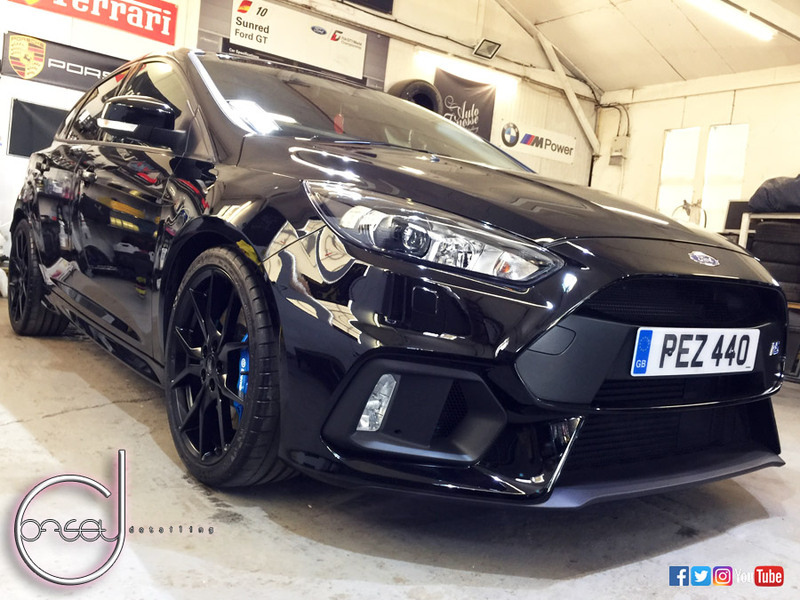 Offset Detailing is an award-winning car detailing service in Essex run by Daryl Benfield. 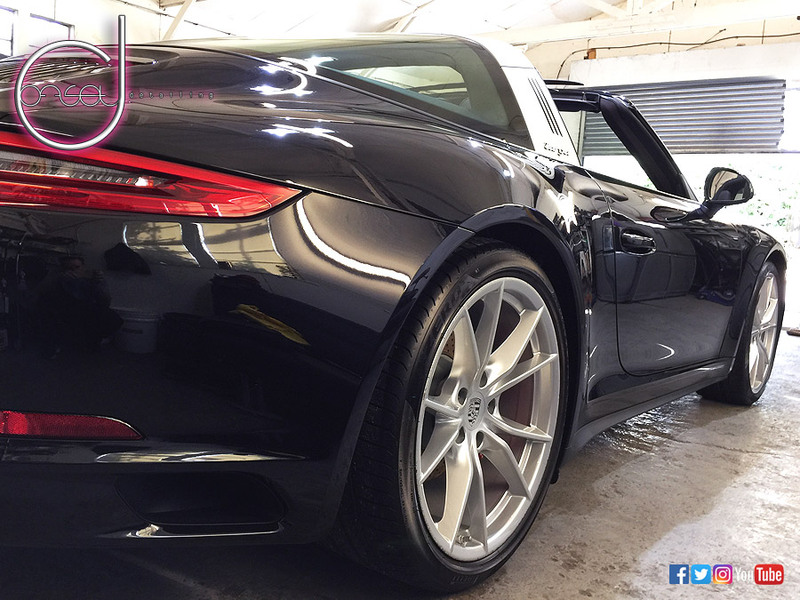 Specialist services include paint correction and new car detailing. Other services include protection details, concours and show car detailing, wheel, brake caliper, and leather care. Daryl is one of only a handful of trained and certified Kamikaze Collection detailers worldwide, and has been specially trained to use their full range of coatings and products, including Enrei and ISM Pro coatings. Daryl is also Auto Finesse Approved, and works with other brands including Gyeon, Gtechniq and Carpro. 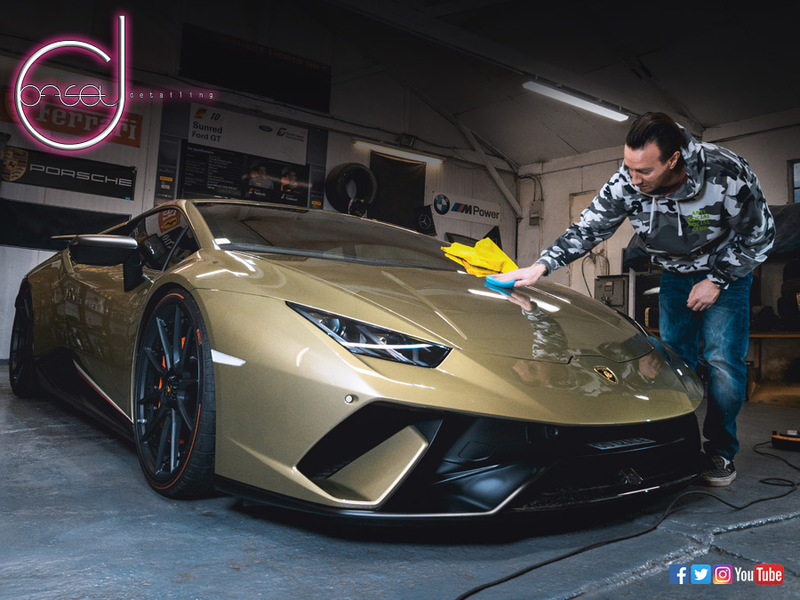 Get in touch with Essex's award winning detailer Daryl Benfield at Offset Detailing. 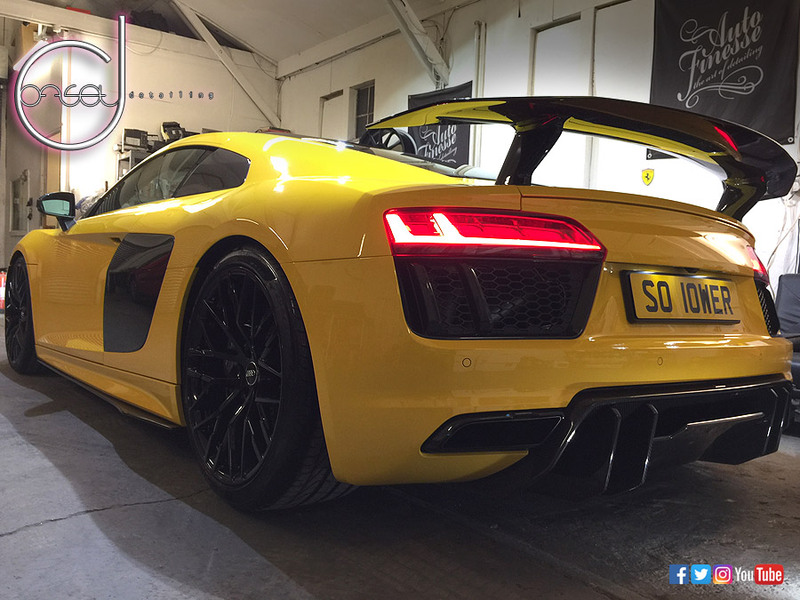 Call 07843 201 313, email hello@offsetdetailing.com, contact us online or fill in the form below. 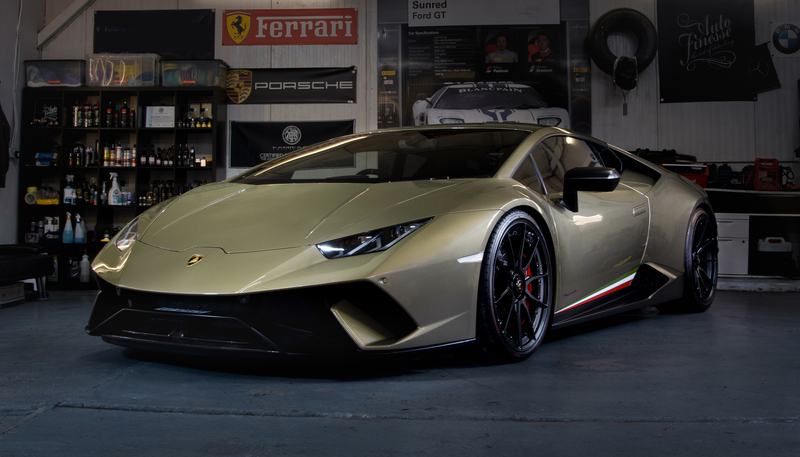 I thought I would drop you a line to thank you once again for the work you did on my Lamborghini. Having had the opportunity now to inspect the car fully, I can only say that the quality of the work you carried out over the last four days was truly outstanding. The gloss on all areas of the car is astonishing. This new Kamikaze Enrei is incredible. The flecks in the paintwork really pop and the carbon areas just are transformed with it. With the paint correction work to remove any light scratches, the thorough detailing work and Enrei treatment (and I am super fussy about thoroughness) along with the new PPF have yielded astonishing results.I am delighted, in short. I will not hesitate in recommending your services. After a fantastic weekend in Wales, in atrocious weather and over very muddy roads my pride and joy (I saved for 40 years to buy my dream Porsche) was so dirty that an hour of jet washing didn't even begin to get it clean. I couldn't face the prospect of scratching it so turned to Offset Detailing Essex to bring the car back to life. Daryl did an incredible job. He paid such attention to detail that I would swear the car was cleaner when I picked it up from him than when it left the showroom. Given how dirty it was, he worked a minor miracle. Thanks, Daryl. I will be back. As a reminder, my car was the Porsche turbo s covered in welsh clay! Just completed my second detail with Daryl and another outstanding job. As someone who also details his own cars I understand and appreciate the work that goes into it so it was important for me to find the right person to meet my high level of expectation. I'm delighted to say Daryl exceeds my expectations and is a master of his craft. His passion and attention to detail literally shines through in his work. Daryl is very approachable and down to earth and will tailor the package that's right for you. 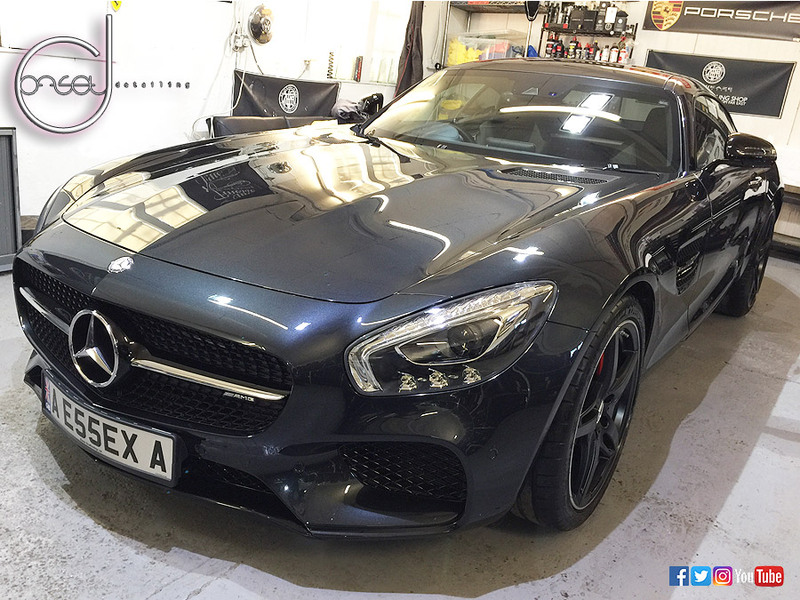 Recently I wanted to get paint protection film installed as part of a detailing package, Daryl went out of his way to put me in touch with some top notch fitters which was completed all in house in his wokshop, which was ideal. Take a look at his portfolio for evidence of his work and see some fantastic cars looking at their best! Will definitely be back. I had my car booked it with Daryl at Offset Detailing Essex for its winter prep as I had no time to do my own winter detailing and I have to say Daryl did a great job. 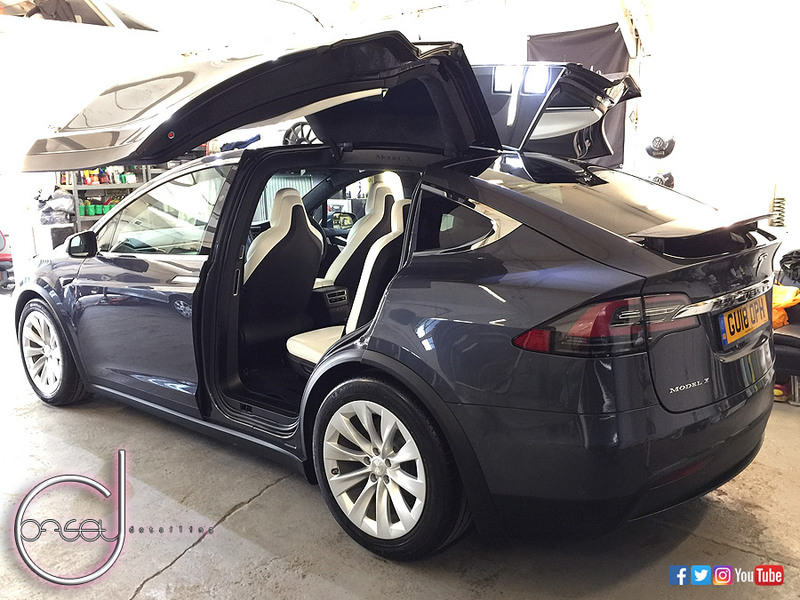 The attention to (pardon the pun) detail was exceptional, the car didn't really need a polish as there was no marring on the body work but after looking at the end result you'd think Daryl had polished it. Since I had the car it's rained a couple of times and the water beads like crazy. Daryl used Kamikaze Collection Infinity wax and Gyeon coatings, both are first rate products. I wouldn't hesitate to have Daryl work on my car again if for some reason I had no time to do it myself. So give offset detailing a go, you won't be disappointed. I have owned a Ferrari 308 for 27 years in that time I have treated it to the occasional Turtle Wax wash and wax plus a bit of T-Cut when and where required and worse still was the damage done to the red paint by the sun the result was a car which was still presentable but had lost its sparkle big time. A friend of mine had recently had his BMW sorted out by Offset Detailing Essex. When I saw the results of paint correction detailing I was amazed, but more amazement was to come when my car had the treatment it has transformed it, the paint has a mirror finish and the original deep red has been restored without the scratches, thanks again Dal, fantastic Job would highly recommend. ”Daryl did an excellent job on it. Was only three weeks old, only cleaning done to it was whatever the dealer did – surprised to see the marks and scuffs on it. 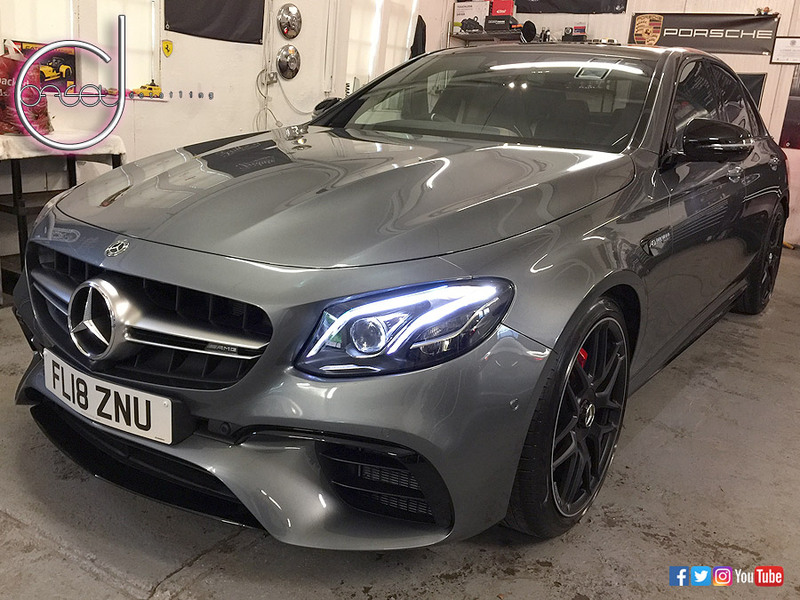 Picked it up last week and it looks perfect, even with all the rain we’ve had which hasn’t bothered the Kamikaze Infinity wax; it was money well spent I travelled all the way from London to this car detailing Essex specialist as I have seen his previous work and was very impressed”. 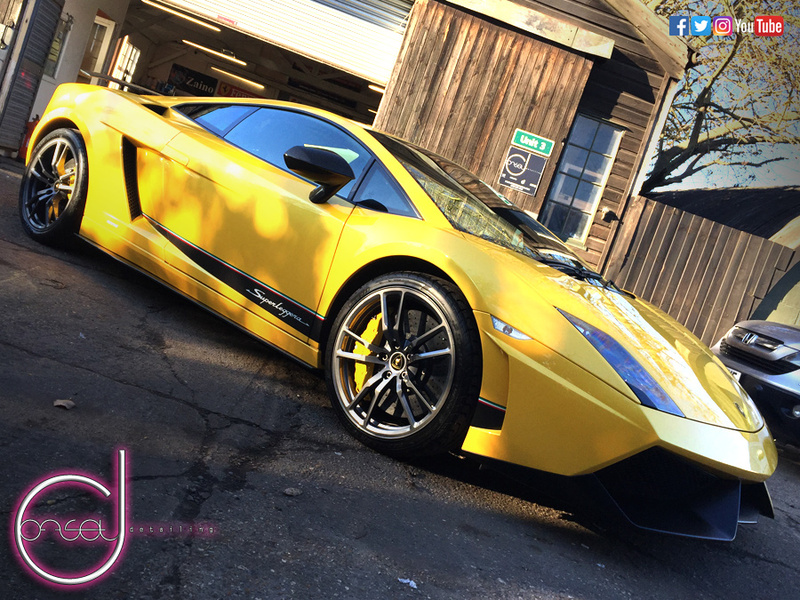 LOOKING FOR CAR DETAILING ESSEX? A deep clean & protection wax/sealant for both new & older vehicles – this starts with a thorough wash and decontamination process of your vehicle. Even if a vehicle is brand new, deposits are picked up during transportation, these are carefully removed during the wash process. 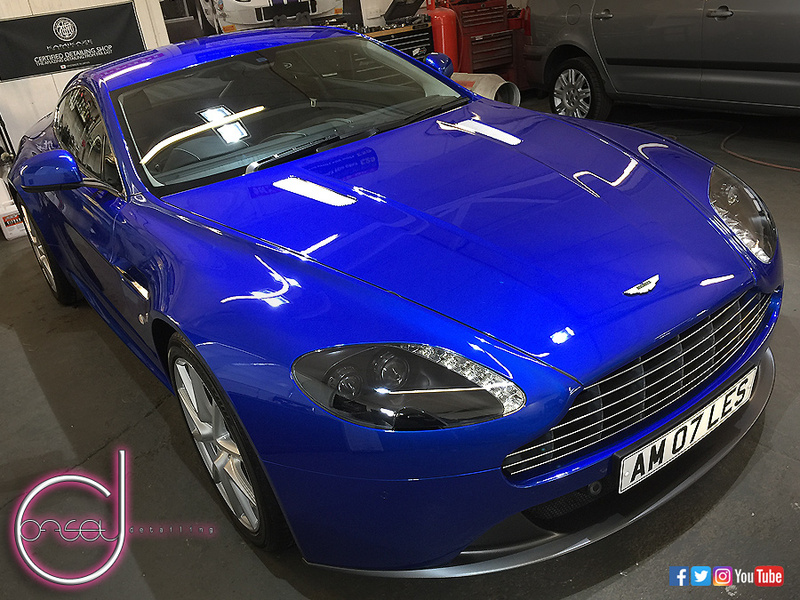 The car is then clayed to remove even more contaminants which gives the paint protection sealant of your choice a completely clean surface to bond to. Ceramic coatings are highly recommended for maintaining the finish and easy after care. The wheels and glass are also sealed. The interior is vacuumed and cleaned throughout and the engine bay is protected with Aerospace 303. This process is designed to protect your existing paint condition and help ease future washing. Single stage enhancement, paint protection detail for new & older vehicles. This detail is the ideal option if you have marring, swirl marks and scratches on your car. Firstly, your vehicle is deep cleaned and clayed in preparation for removing these defects. 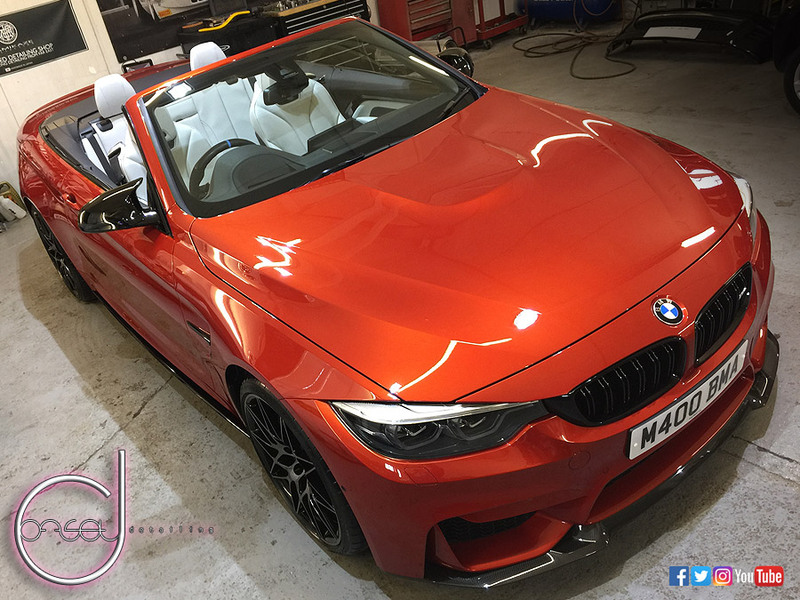 The defects are then removed by gradually polishing them out which creates an incredible finish to the paintwork – the flake or pearl will 'pop' a lot more and the paint colour will look substantially enhanced with added depth. Your car is then ready for the sealant of your choice to protect and preserve your corrected and enhanced paint. A time consuming but very rewarding option, please expect to leave your car 2-3 days depending on size of car and its paint defects. Results may vary depending on the existing condition of the paint. New car protection details – unfortunately not all new cars are presented to their new owner in the best condition they should be due to lack of care and dealership budget to prep a new car. 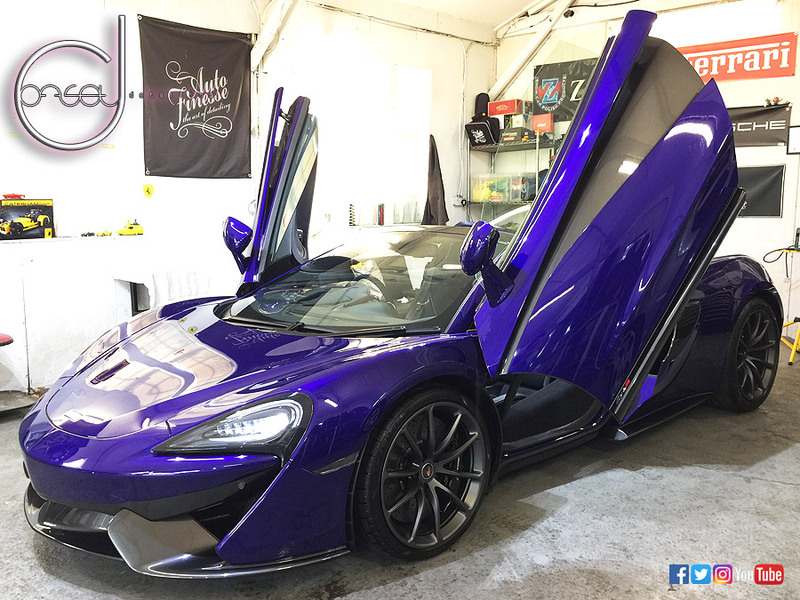 Brand new paint can always be machined to look better and customers collect their car from Offset Detailing looking 'better than brand new'. The new car protection detail is carried out with the same process as above and is aimed to offer protection from the outset with peace of mind that future washing and maintenance will require minimal effort. Ceramic coatings are highly recommended for maintaining the finish and easy after care. Multi Stage Paint Correction Essex Detail & Protection For New & Older Vehicles starting off the same as options one and two, the first stage of paint correction is complete. I then work my way around the entire vehicle again with finer grades of polishes and pad combinations refining and jeweling the paint to create even more gloss, depth and a truly awesome finish to the paintwork. With as many defects removed as safely possible in the first stage, the paintwork looks great but jeweling the paintwork afterwards gives the ultimate look and is the most popular option people go for when booking a car detail, be it a new or older vehicle. Kamikaze Collection not only represents an evolution in their world-renowned coatings that are hand-made in Japan, but it’s also the highest performing coating in the KAMIKAZE lineup. Sticking with KAMIKAZE-Collection’s traditional development processes, Zipang Coat was created with ease of use in mind. This ease of use, along with the highest levels of performance, are what have made the KAMIKAZE coatings so popular with both the professional detailer and detailing enthusiasts alike. With Zipang Coat, the chemistry provides even higher levels of gloss and brilliance than their ISM / ISM Pro coatings, and it offers semi self-healing characteristics, meaning that the appearance of small swirls or imperfections in the coating surface will reduce when exposed to heat. For those looking for the ultimate in coating protection, we recommend Zipang Coat for its unmatched looks, hydrophobicity, ease of use, and semi self-healing technology. Durability is rated at 3 years. Zipang Coat also provides a darkening effect to the paint (blacks will be deeper black, richer reds, etc), and has the ability to lightly fill small imperfections in the paint. 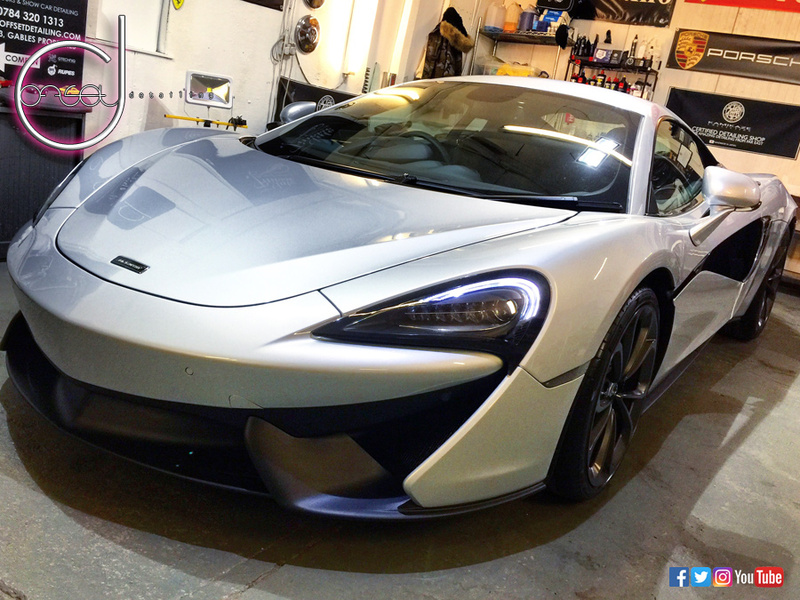 SUNTEK & XPEL PAINT PROTECTION FILM FITMENT NOW AVAILABLE! SUNTEK & XPEL PAINT PROTECTION FILM FITMENT NOW AVAILABLE. 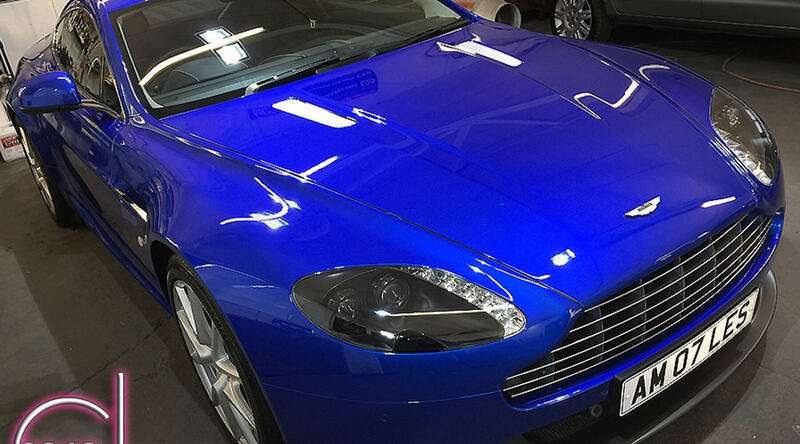 PPF OFFERS BREAKTHROUGH TECHNOLOGY FOR PAINT PROTECTION APPLICATIONS. FEATURES AND BENEFITS INCLUDE: INVISIBLE PROTECTION FROM DAMAGE CAUSED BY ROCKS, STONES, ROAD SALT, INSECTS AND OTHER ROAD DEBRIS. A PROPRIETARY, SELF HEALING TOP-COAT FORMULATION THAT IS SCRATCH AND CRACK RESISTANT WITH A HIGH GLOSS FINISH. SUPERIOR CLARITY. PLEASE EMAIL OR CALL TO DISCUSS YOUR REQUIREMENTS. DISCLAIMER - PLEASE NOTE THAT EXISTING PPF REMOVAL CAN EFFECT THE PAINTWORK UNDERNEATH IF IT IS OLD/WEATHERED OR AN INFERIOR PPF OR PAINT JOB. THIS IN EXTREME CASES CAN RESULT IN PAINT REMOVAL FROM THE PANEL. OFFSET DETAILING NOR APPROVED PPF INSTALLERS AREN’T LIABLE FOR THIS AS WE DO NOT KNOW THE ORIGINAL CONDITION OF THE PAINTWORK UNDERNEATH, IT IS AT THE OWNERS RISK. WHEEL & BRAKE CALIPER PROTECTION & SEALED WITH A DURABLE WHEEL COATING INSIDE & OUT. THIS HELPS AGAINST BRAKE DUST AND DIRT BUILD UP INSIDE THE WHEELS, MAKING THEM EASIER TO CLEAN WITH WATER LITERALLY RUNNING OFF THE SURFACE. ALSO TEMPRATURE RESISTANT TO COPE WITH BRAKE HEAT. UPGRADE TO KAMIKAZE COLLECTION STANCE COAT FOR EVEN MORE DURABILITY.